Women entrepreneurs are changing the game of business as we step into our authentic feminine power and leverage our passion and purpose to grow great companies. 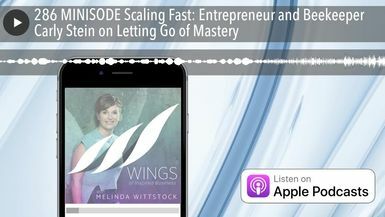 Listen to Wings Of...Inspired Business [https://wingspodcast.com/itunes] to learn from women who’ve built 6, 7, 8 and 9-figure businesses so you too can manifest the mindset, mojo and money for a life and business you love. Hosted by Melinda Wittstock [https://melindawittstock.com], a 4X serial entrepreneur, tech visionary and award-winning journalist, Melinda focuses where personal and business growth meet, with insightful interviews with inspiring female founders and executives.